505 is a temporary fabric adhesive for use in sewing, applique, quilting, and paper craft projects. Spray the adhesive onto the back of fabric for a temporary bond to other fabrics, batting, paper, chipboard, and other such materials. It is odorless, colorless, stainless, spotless, and will not gum needles. 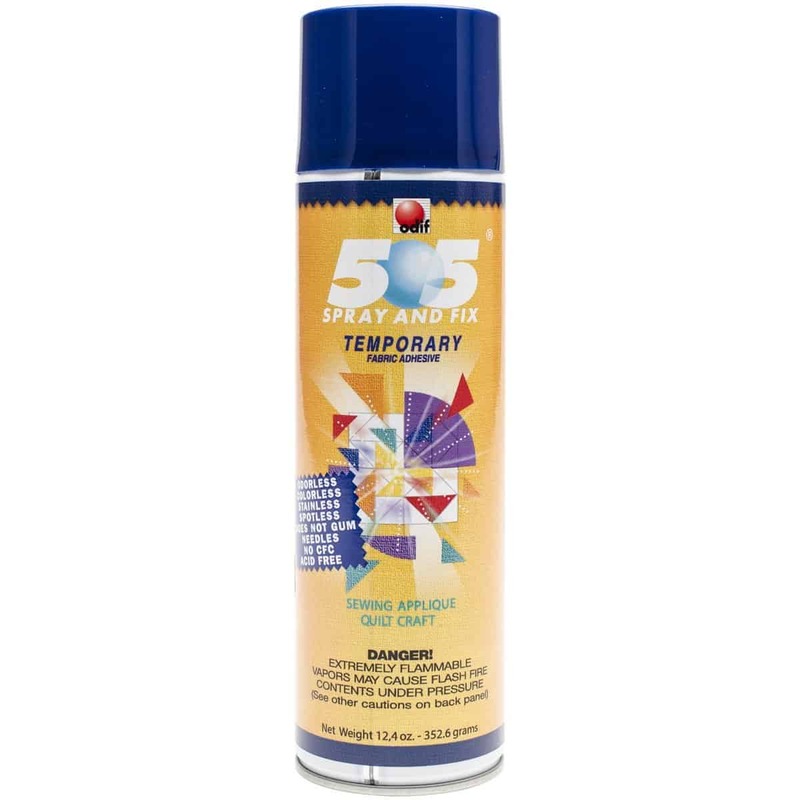 Each can contains 12.4 ounces of spray adhesive. DANGER: Extremely flammable. Vapors harmful. Contents under pressure. Keep out of reach of children.